I actually won this from a giveaway my newsletter service was holding, and it is my favorite gadget. I use it mainly to make and edit videos, then upload them seamlessly to YouTube and to clients. I also enjoy EverNote and other "clipping" programs that let me view online content even when I'm not connected to the internet. This is a bit of a downgrade from my 6-core HP desktop that was relinquished to my husband, but it performs beautifully and doubles as a work PC for me and a school PC for the kids. In addition to having a quad-core processor (which is essential for running multiple programs) and 1TB of data (for storing all my blog photos and videos), it has a whisper-quiet fan and all the goodies that Windows 7 offers. It didn't come with a monitor, but at less than $515, you can easily hook it up to whatever screen you'd like. 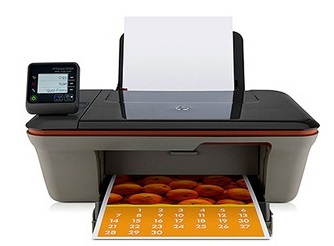 I already had a wireless DeskJet printer, but this model allowed for printing directly from my phone to the device. This meant I could snap a photo or send a document from my hotel across the country straight to my husband's desk. Signing contracts or getting my hotel details to the family is a cinch with this printer. (I buy an official 3X ink cartridge to get more printing pages for the buck.) It also looks snazzy on your desk! What gadgets are you relying on to run your small business? We'd love to hear about it in the comments! Oh! One of my favs is my little wireless mouse. I haven't had a wire connected to a mouse in a while, does anyone? But I love all the wireless tech around now.